Almost 40% of women feel that their gender will be a disadvantage when starting a business, and when only 1% of global procurement contracts go to female-founded businesses – these paltry numbers and the glacial rate of change for women is incredibly disappointing. 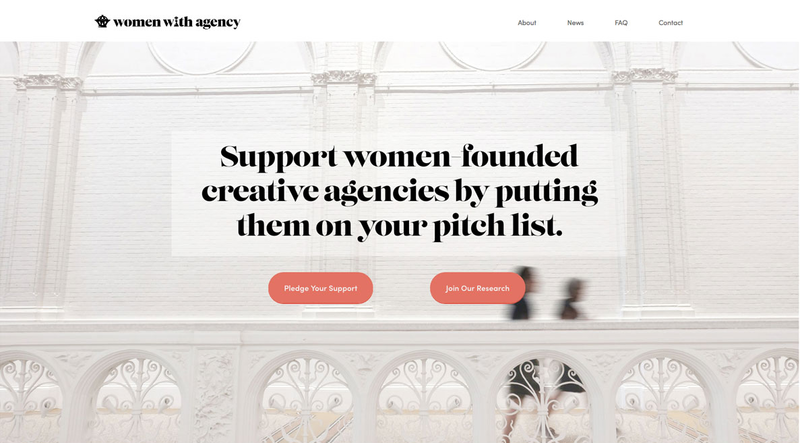 Women With Agency is ensuring that women-owned business can truly compete in a meritocracy, and that opportunities are given equally to creative agencies. Visit womenwithagency.com to find out more.